What is a task-runner? It is an app, which does routine small tasks in an automatic mode. What you need to do is type the command in your terminal. Gulp js being a built framework gives you the tools to create tasks that fit your specific needs. This tool is especially popular among our PHP developers, since it helps them to save time a lot and is currently used on almost every large project we do for our clients. What Can Be Done with the Help of Gulp JS in a Quick and Smart Way? What Makes Gulp Build System Different? I/O works the way you plan without creation of additional temporary files and directories. Such good performance is impossible without built-in virtual filesystem (VFS, streams and basic task system). Gulp task runner has a great interface for working with streaming data and with the help of node’s streams file manipulation all processes are performed in memory, and a file isn’t written until you tell it to do so. And don’t forget that if you are interested in optimizing your work even more, you should choose the proper project management tool for your team. Being a young project it lacks documentation and number of plugins is much smaller than Grunt’s. Still comparing November 2015 when its number was 1916 and nowadays 2757 we should admin that project is rapidly developing. 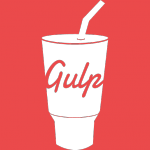 Still there is a tendency that Gulp is being used in small projects, as well as Grunt is more common having huge community. What’s Your Best Built System? As any kind of project Gulp has its own pros and cons. Still being a rapidly growing task runner, Gulp is a breath of fresh air for developers. It proves to be a handy tool in modern environment for front end development helping doing tasks fast, efficient and convenient. Contact Mobilunity Team to have fast management of your frontend project with task runner Gulp!